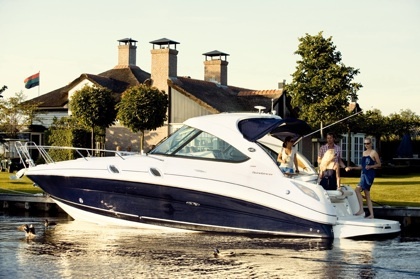 Sea Ray offers the 305 in three versions; with a windscreen, and arch and a hard-top. She is fully equipped to a standard home from home perfect for that weekend getaway. As standard the 305 comes with a well equipped cockpit featuring a wet bar, refrigerator and drink holders installed throughout the entire cockpit. The faucet and the sink can be covered in the countertop too, creating more space on the countertop when cooking. 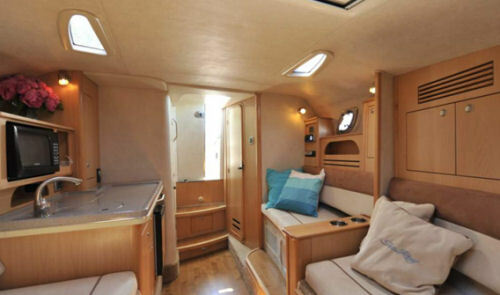 There is a single burner next to the wet bar if you want to whip up some kick meals in the cockpit a useful touch, and the final added touch is the L-shaped seats can be converted into a large sun lounge area .The 305 helm dashboard is user-friendly housing a compass, tachometer, speedometer, fuel level meter, oil pressure meter, water temperature & usage meter. 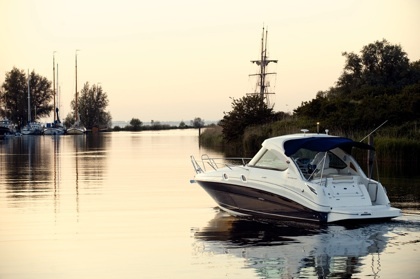 This simple and clean design is something new and refreshing from Sea Ray. Down below you will find a spacious cabin, featuring a large workspace and countertop with the usual amenities, a microwave, refrigerator, sink and wine rack. The 305 adopts a new “U” shaped seating layout in saloon that fits 5-6 adults comfortably and also converts into a king-size bed of 1.90 meters long with ample storage found in the cabinets and under the seating of the U-berth. The head is a fibreglass moulded unit comprising of a large mirror, toilet, shower (with curtain), sink, towel hanger and an opening port light, a nice touch for customers who would consider long weekend trips. The mid-cabin has been designed with a sense of privacy and central focus with a door closing it off from the saloon, once you step inside the main room you will notice a feeling of spacious feeling created by the unique sliding windows and screens that allows a good deal of natural light to enter the area. The double bed is a decent size with ample storage from a hanging locker and upper and lower units. 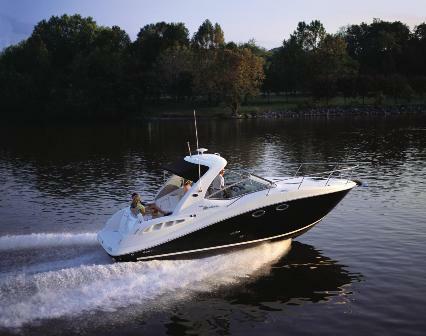 The Sea Ray 305 Sundancer is an innovative piece of design, encompassing features found on yachts much larger in size. 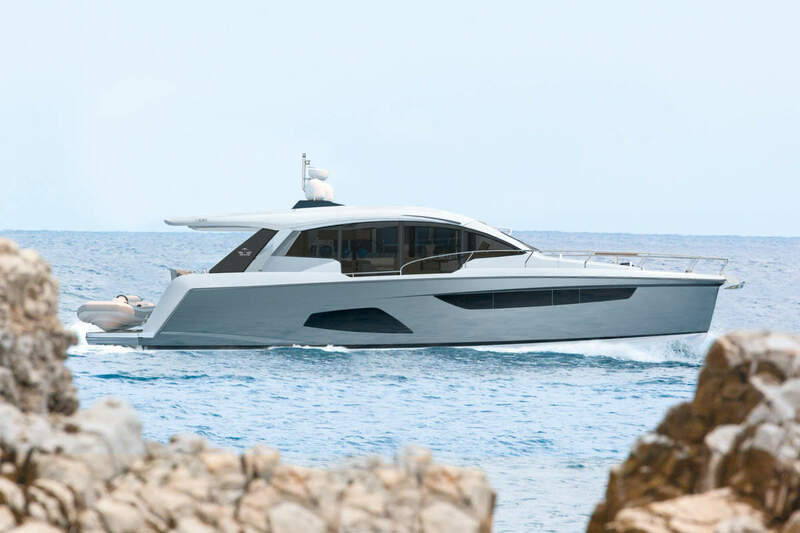 The new look and feel 305 will certainly attractive those in the market for a strong performing all round sports cruiser. Great review and looking forward to seeing the 305 hopefully at London Boat show in January, oh and that video is awesome , those led lights are great. i found your site from your adwords, well done ! !